In addition to discovering and working with many local Taiwan manufacturers in the past few years. We were also very fortunate to expand overseas and have the opportunity to contact Yeh Group. The premier functional textile apparel supplier to some of the world’s most well-known sports brands such as Nike, Adidas, Under Armour, etc. Yeh Group’s Managing Director, Jimmy Yeh and Manager Tawei Yeh took the opportunity to fly to Taiwan to experience Artificer’s unique products. During our discussions, both sides mutually understood the concept and value of the cooperation. 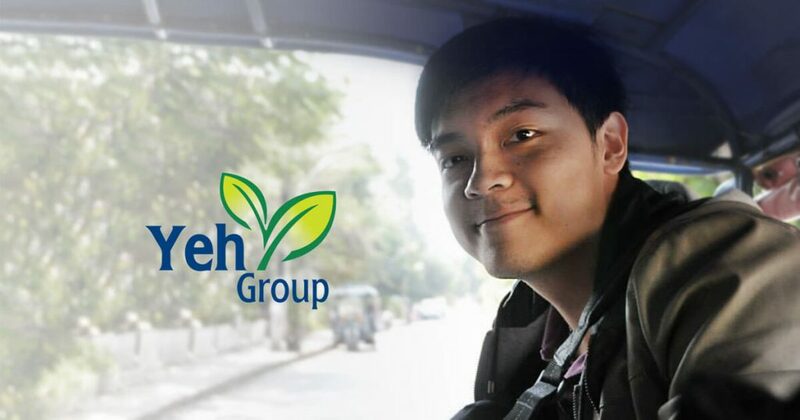 Yeh Group’s never-ending mission to conserve energy, be environmentally friendly for the good of this earth really impressed us. This initial exchange promoted the possibility of Artificer’s cooperation with Yeh Group. Although, there are many foreseeable obstacles to overcome, we hope that in the very near future our close cooperation will bear successful results. As a global enterprise whose partners are almost all world famous and huge brands. Why were you willing to fly to Taiwan to meet with us? We were honored to ask Tawei to share with us his feelings and comments regarding this. Proactive, passionate, persistent, patient and authentic is the impression that the Artificer team has given me. Artificer is a team made up of talented people who push things forward with a positive attitude every day. For me, it’s always fun to work with people who see problems as challenges. This is why I am motivated to work with Artificer. Artificer is working hard to complete another project with Penn Asia, part of the Yeh Group. The challenge we face now is how to obtain unbiased scientific data in the form of a formal medical report to offer users with even more confirmation. My personal wish is that Artificer will be able to overcome this challenge in the near future, and the whole world will come to know Artificer. And when these challenges are completed, we will fully assist in connecting Artificer’s patented technology with global sportswear brands. Founded in 1988, Yeh Group is a world-renowned manufacturer of sportswear and functional apparel. To date, it has dozens of functional fabric manufacturing technologies and provides functional fabrics for many global sports brands such as Nike, Adidas, Under Armour etc. One of their many proprietary technologies–Drydye® water-free dyeing technology can reduce the basic cost of dyeing fabrics by 50%, reduce the carbon footprint, achieve energy saving and is completely environmental friendly.